Do you have difficulty detaching yourself from day-to-day anxieties? Do you allow yourself to forget past insights and experiences? Does your work lack opportunities for creativity and individual fulfilment? 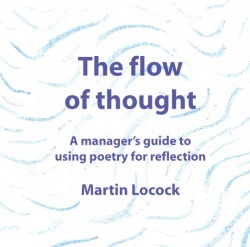 The Flow of Thought shows that there is more overlap between the disciplines of management and poetry than it appears, using Mihaly Czikszentmihalyi’s concepts of FLOW and OPTIMAL EXPERIENCE. You will soon be ready to start writing haiku as part of your routine, and reap the benefits in terms of clearer thinking, better learning and a more satisfying life.